What's in a name? For Smith & Wesson, a whole lot of corporate strategy. The gun maker is changing its company name to American Outdoors Brand after 164 years of business, according to an SEC filing released Monday. The move comes as a surprise given Smith & Wesson has become a household brand. And it's not as though its bottom line is struggling. Quarterly sales were up 40% in September. According to Smith & Wesson (SWHC), the renaming will not affect the gun's brand, which will remain untouched. But it does reflect a major shift in the company's priorities. 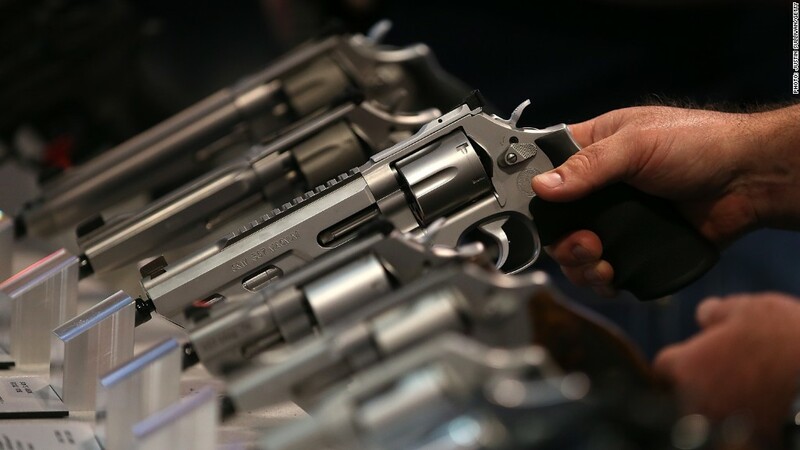 "We believe that changing our corporate name to American Outdoor Brands Corporation will better reflect our strategic focus on the shooting, hunting, and rugged outdoor markets," Smith & Wesson said. In other words, the company is shooting to be known for more than just its guns. It also owns other consumer brands like Hooyman and M&P, which manufacture outdoor tools and accessories. But the company insists it's not abandoning its namesake gun unit. "Changing our name is not intended to diminish the importance of the Smith & Wesson brand in our portfolio," it said in its statement. "Rather, our new name will represent a broader and more inclusive platform." If stockholders approve the change, the corporation's stock ticker will change from SWHC to AOBC.